Are You Ready to Be Interviewed on a Podcast? Do you have a message to tell? Podcasting and podcast audiences are growing all the time. 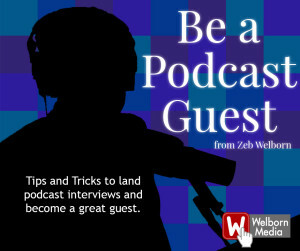 Be a podcast guest and expose a whole new audience to you and your message. Plus, with some practice and thoughtfulness you can be just as interesting as a best-selling author, give more useful advice than a multi-millionaire business owner, and maybe even be funnier than a world-class comedian. Last week, I completed my 100th interview on the Defining Success Podcast. I started the podcast nearly two years ago and have met some amazing people through the process. My original plan when starting the Defining Success Podcast was to share the success stories of people in a variety of professions. Through my podcast, I’ve had some realizations about what makes a great guest. You should be a podcast guest. I’m going to walk you through how to get on a podcast, how to interview well, and how to leave a lasting impression on the audience. When I started my podcast, I announced to the world(via social media) that I was starting an interview-style podcast. Some of my firsts guests I asked personally to be a podcast guest and others were connected to me through my social media posts. Since my initial launch, it’s become a lot easier for me to get guests for the show because now they’re pitching me to be a guest on the podcast. If they said yes to all three (which of course they all did) I would schedule them for an interview. Recently, I’ve changed the format of my show to highlight a specific learnable skill, trait, or ability. We really dive deep into the material, so I’ve become much more restrictive of who I have as a guest. Having said that, I’m always looking for new guests and I know many other podcasters are too. Ask to be interviewed – In many cases, all you have to do is ask. Contact the host in the format that seems most appropriate to them. Don’t send the same email to all podcast hosts. It’s really easy to tell which emails are sent out to multiple people. I’d recommend avoiding it if possible. Pro Tip: In your pitch to be a podcast guest, give some genuine feedback about the show and you’ll increase your chances substantially. When I book a guest for the Defining Success Podcast, I typically have no idea what to expect. Ultimately, I’m trying to create the best experience for the listener of the podcast so they can get as much valuable information from the interview as possible while still being entertained. Don’t use filler words – Everyone does it, including me but saying “um,” “like,” “you know,” and other words really distract from the interview. Filler words tend to creep their way in when you’re either nervous, or not clear on the material you’re discussing. The good news is both of those can be corrected with practice. Be conversational – Some people will over-prepare and come off as having staged answers and seem a bit robotic. The best interviews are ones where there is an interesting rapport between the interviewer and the interviewee. Be enthusiastic – Some of the worst interviews I’ve done were with people who lacked any kind of enthusiasm or passion in the topic they were discussing. Make the interview interesting by being passionate about the topic you’re being interviewed on. Don’t talk too much – Some guests get in the habit of rambling and talk too much. The best interviews have a great back-and-forth between the guest and the interviewer. Make a point and stand by it. If it’s unclear, it’s up to the interviewer to make sure the listeners get the point. Pro Tip: Before you start recording, have some quick, unscripted conversation. Make sure you both feel comfortable with each other before you start the interview. Many guests on podcasts don’t have a clear call-to-action for their listeners. A lot of times, a guest will have some really great insights and listeners will want to connect with them further but don’t know how or don’t have a compelling enough reason to. Give your listeners something compelling to make them want to connect with you after they listen to the interview. Be quotable – The best guests are those that are quotable. I can’t tell you how many times I’ve done an interview where someone starts to say something extremely profound only to cut their ideas off mid-thought. Memorable quotes are something everyone can take away from an interview. Give something away – The best thing you can do for yourself, the listeners of a podcast episode, and the host of a podcast is to give something away for free. The host will love it because you’re taking care of the audience. The audience will love it because they get something for free. And you’ll love it because you’ll get people connected to you through your email list. Pro Tip: Plan out two to three quotable sentences, write them down, and read them at the appropriate time during the interview. This will ensure your quote will have maximum impact. If you have a message to tell, you are ready to be a podcast guest. The most important thing you can do to get your message out to the podcasting world is to start connecting with podcasters and asking to be interviewed. It’s not as hard as you think and once you get started, you’ll realize how fun it really is. 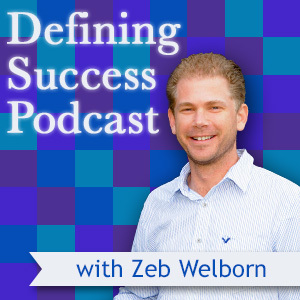 Interested in the Defining Success Podcast? Sign up now to become a Defining Success Podcast Insider! Posted in Defining Success Podcast, Personal Branding and tagged Best-Selling Author, Defining Success Podcast, Email, Facebook, How to Be a Podcast Guest, Impression, In-Person, Instagram, Interview, LinkedIn, Multi-Millionaire Business Owner, Podcast, Podcast Guest, Social Media, Telephone, Twitter, World-Class Comedian.